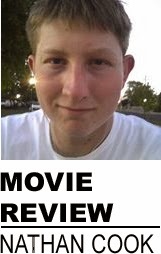 It's been a while since I've done a complete review of a movie. Where did all the time go? Oh yeah, of course, I went to college! Anyway, this week let's take a look at Thor's return. 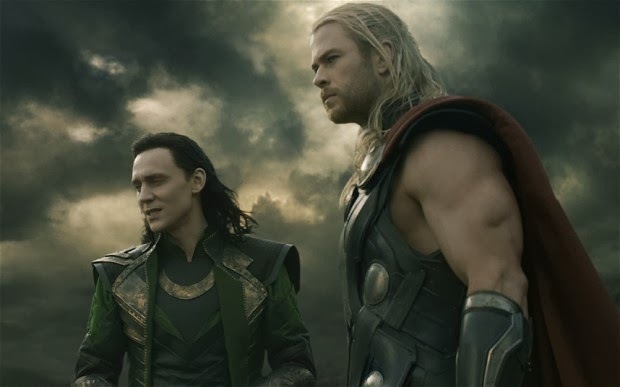 All in all, "Thor: The Dark World" is an entertaining addition to the Marvel Cinematic Universe that manages to be better than "Iron Man 3." It offers enough rousing adventure to satiate the comic book nerd's appetite until "Avengers 2" (or at least Captain America's next flick). There are many good things about this sequel, which improves on the original. There's much more action here, prevalent in the numerous rousing set pieces. And what a creative climax! The comedy here is unexpectedly more abundant. With self-aware and wry humor to go along with some of the slapstick, it helps the film feel more fun. Look out for a hilarious cameo that will certainly make your viewing experience more enjoyable if it already wasn't. All that creates for a nice balance with the emotional side, elevated here by deeper relationships between the characters, the most notable one being Thor and Loki's love/hate bromance. It's all in due part to the great acting by the ensemble -- the bold Chris Hemsworth, gleeful scenestealer Tom Hiddleston, a fine Natalie Portman, Anthony Hopkins and Idris Elba lending a strong, authoritative support, and even the sadly underused Christopher Eccleston. Alan Taylor's direction here may seem like it's made out of compromise, but it's fresh and assured enough to keep the ball rolling. And of course, the visual effects made the whole shebang look cool, even enhancing upon the original look of Asgard. Loki (Tom Hiddleston) and Thor (Chris Hemsworth) in "Thor: The Dark World"
However, the film suffers from quite a few flaws. The storyline isn't all that enthralling, mostly because it's yet another superhero movie in where things go wrong (again) and the superhero must save the day (again). Still, who goes to a Marvel movie not expecting this? The loose, quick writing helps the film overcome that hurdle, but the sci-fi/fantasy vibe was a bit uneven for me. I felt this sequel went a little overboard on this aspect, which really threw me off because the first one had such a good balance of the two genres. The first film was also better in terms of character development, notably with the Asgardian warriors and the external subplot mortals. For a "central villian", Malekith didn't have that much substance to him, appear for only a few minutes of screen time each time onscreen. It came off as sillier and more over-the-top, now that I think about it, at times looking nearly like a parody of itself. The first film leaned towards a more theatrical tone. It takes time for TTDW to pick up momentum, which was also the case with the first film (and "The Avengers," and "Captain America," and all the other ones, now that I think about it), but once the train is rolling everything is just fine. Lightning has struck twice for Thor after all. The same can be said for Marvel, whose Phase Two movies are shaping up so-far, so-good. The second "Thor" improves slightly over its predecessor in being a dazzling, engaging fantasy that's only a touch darker yet much more amusing. Now I'm curious about how "Guardians of the Galaxy" will build up to the second "Avengers." Nathan Cook is a graduate of Skyline High School now attending Boise State University.